Get your boots ready for scootin', the North River Band is coming back to the Clifton Opera House on February 19th! How to describe them? "Old country style" with an occasional bluegrassy, rockabilly, or old rock and roll tune thrown in to keep your toes tapping. Clifton's own Michael Smith has been playing acoustic music since the '80's. 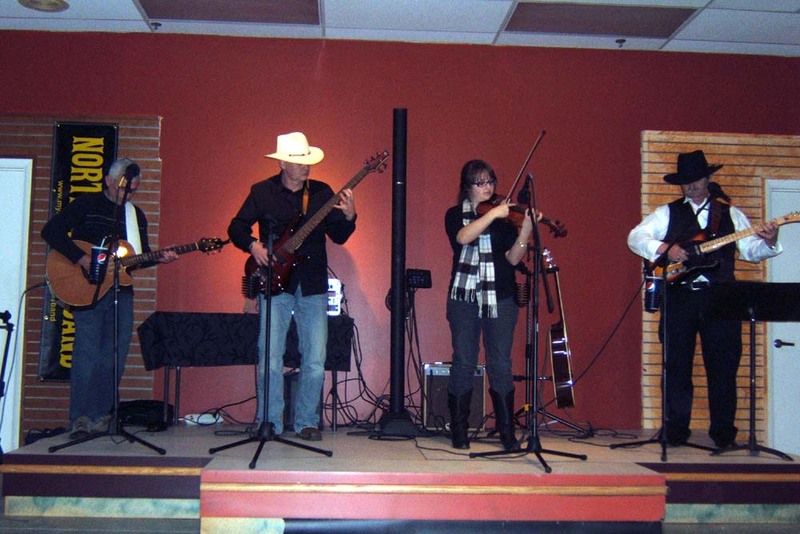 His early days were filled with bluegrass and country with his "Honeycreek Bluegrass Band". These days his influences include Johnny Cash, Ian Tyson, John Prine, Doc Watson, Tom Russell, and Stevie Ray Vaughan, and he'll still do some bluegrass if requested, just ask! The North River Band was formed to entertain you at 2009's Old Clifton Days' festival. Michael's backed up by Dan Meyers on the bass, Robert Conoway on rhythm guitar and vocals, and Izzie Beegle on the violin. This talented bunch of musicians will have you rockin'! Check their website for their performance schedule: www.northriverband.com. The Clifton Opera House is located at 5 So. Clay Street, Clifton. The Box office opens at 6:30pm, concert at 7:30pm. Door donation $7.00 Contact 937)767-2343 for more information or visit the website www.villageofclifton.com.